AFTER a late-afternoon stroll through Zakynthos town we go in search of a cooling beer. 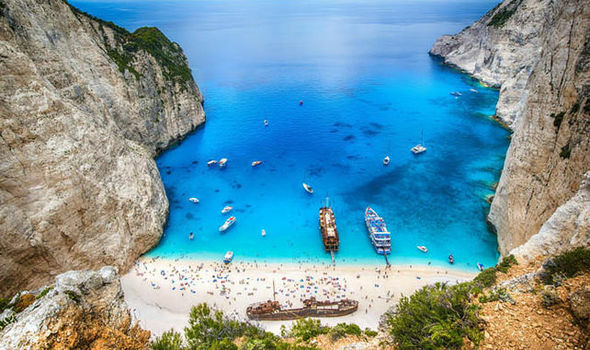 It’s a magical hour on the Greek island of Zante. The breakwater beckons, along the edge of this curving bay, hemmed in by dramatic hills studded with bell towers like whitewashed fingers pointing into the sky.